If you’re planning a trip to Australia, odds are you’ll want to visit the Great Barrier Reef. You can make this bucket list item extra special by visiting the Whitsunday Islands, where you can stay on the reef itself, surrounded by sparkling blue waters and colorful marine life. A recent poll of 10,000 domestic and international visitors to Australia conducted by Experience Oz named the Whitsundays the No. 1 Destination in Australia to Experience. At Down Under Endeavours, this is one of our favorite destinations in Australia to send clients—and a popular destination for our luxury travel designers on their time off! Here are some insider tips to help you make the most of your Great Barrier Reef vacation in the Whitsundays. 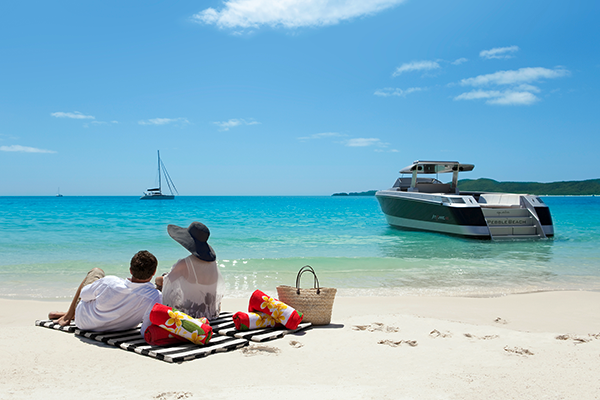 For family fun: One&Only Hayman Island offers incredible luxury accommodation for a family getaway. Plus, the journey to the resort is sure to wow everyone in your group. From the Great Barrier Reef Airport, you’ll be transferred to the resort on a luxury yacht, giving you a fabulous experience right from the start. 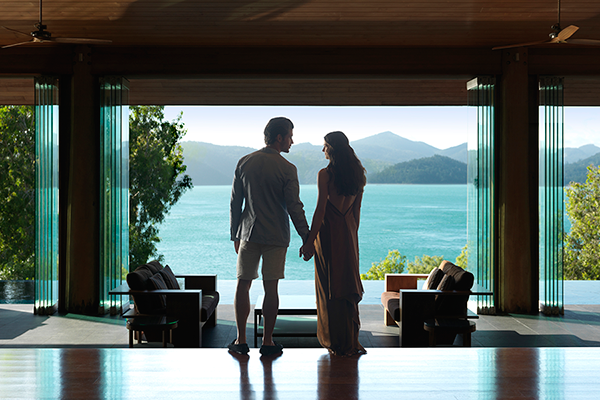 For romance: qualia is the ultimate luxury destination on the Great Barrier Reef. With magnificent island views from your room, private ocean-view plunge pools, renowned dining options, and a focus on 5-star service, qualia will make you feel like you have the resort, with all the romance of an island paradise, all to yourselves. 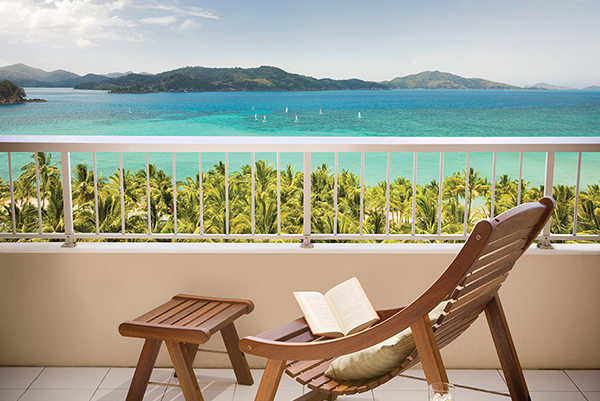 For value: Reef View Hotel offers some of the best value in the Whitsundays. We recommend booking the Coral Sea View Room for an amazing view of the colorful reef below. It’s the perfect place for scenic sundowners. Whitehaven Beach: Whitehaven Beach is a popular destination in the Whitsundays, but with a limited number of visitors allowed each day, it still offers an escape from the crowds. It also has the softest white sand you can imagine. One of the best ways to experience Whitehaven Beach is to take a helicopter in and having a picnic on the beach. Trust us: You can’t fully appreciate how huge and intricate the Great Barrier Reef is until you see it from the air! Jet ski tour: A jet ski trip around Hamilton Island is the perfect way to get a taste of adventure. When the weather is just right, you can go full circle around the island—it’s a blast! Charter a yacht: This is a great option for families, groups of friends, or couples traveling together. Charter a private yacht from Hamilton Island and spend the day cruising around the islands, swimming and snorkeling at leisure, and exploring private beaches. Deep sea fishing: Most people traveling to the Great Barrier Reef don’t think about deep sea fishing, but we highly recommend it for travelers who love to fish. Go out into the deep waters, where a thrilling world of unique underwater creatures suddenly opens up, and see what kind of prize you can catch. 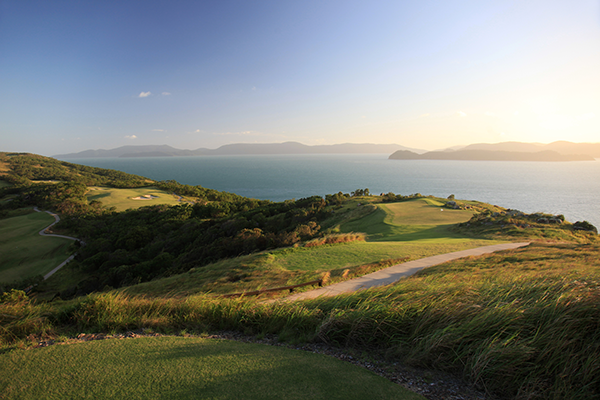 Golf: Hamilton Island Golf Club is actually on a separate island a short distance away from Hamilton Island and offers a truly unique golfing experience, with gorgeous ocean views all around. If you go in August or September, you may be lucky enough to see and hear the migrating whales while you play. Snorkeling: If you’re staying on Hamilton Island, go snorkeling when the tide is all the way out. This is the best time to snorkel with sea turtles, as they’ll be closer to the beach.